Making Sure Traveling With Your Nanny is Smooth Sailing! As we are approaching the spring and summer travel season, I’d like to share my experience over the years in traveling with a nanny. Having a beloved and trusted caregiver with us on vacation over the years has been a fantastic solution to relieve stress and prevent a trip from derailing. Traveling with a nanny, however, can also present its own challenges without careful thought and consideration ahead of time about mutual expectations, boundaries, and general ground rules. Here’s what our family discovered over our many family / nanny trips. What are your expectations of your nanny during the travel time, i.e. on the airplane, during the car ride, etc.? What are your expectations of your nanny during trip preparation? How much luggage do you want to allow your nanny to bring, or is there a limit? Will there be any personal sightseeing and souvenir shopping time for the nanny? Are there any household chores that will need to be done during travel? If so, what is your expectation of her? To what activities will the nanny be taking the kids, and are there any restrictions on activities? 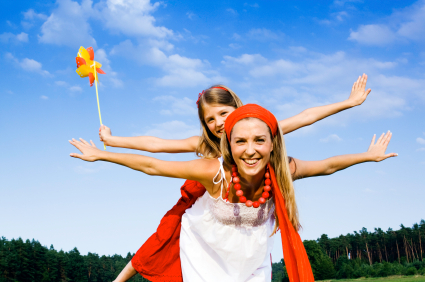 Will your nanny have free time where she is free to venture out and have time without the children? Will she have separate accommodations, or is she required to be in the room with the children? Consider that while it might save money to cut down on rooms, being well rested and having a break and space of her own might allow your nanny to be more energized, responsive, and patient with your children. Compensation: Discuss up front what her compensation will be, and if you will be providing her with it before, during, or after the trip. How will she be compensated? Will she receive cash while traveling, in the event that she can’t reach her bank? Will you pay an hourly rate, daily rate or a flat fee? Sorting out these details ahead of time will free up your precious family vacation hours to fully enjoy without stress or worry over miscommunicated, or worse, completely uncommunicated, expectations. Food – Will she be eating with your family for every meal or will she be able to eat out alone at any time? If so, will you be paying for all her meals? Activity Expenses – Will you cover her recreation with the kids? On her own? Passport/ Immunizations – If your nanny needs a new or renewed passport or updates to her immunization record, who is covering the cost? What we’ve introduced here and have only begun to crack open is the wide array of topics to discern first within your family, and then with your nanny. The more thorough your exploration of expectations, and subsequent communication of those expectations, the better your family vacation will be. Your nanny is an agent of your family, and her purpose in your family’s life is to facilitate. Outlining for your nanny your explicit expectations, coming to a mutual agreement, and then solidifying it with some type of written document is the best way to maintain great relations with your trusted caregiver, as well as to ensure everyone is on the same page at all times. Honesty, fairness, and mutual respect are the foundations of great communication. Communicate well, and enjoy your treasured family time!